Did LOKI: RAGNAROK AND ROLL #2 Strike Down Fred Phelps? 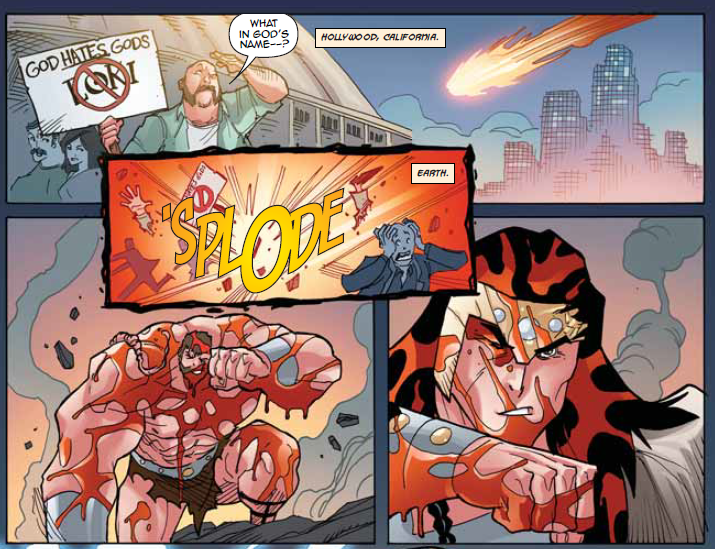 isten, far be it from me to take undue credit for anything, but yesterday I published a comic wherein a guy holding a “God hates…” sign got exploded by Hercules, and today FRED PHELPS IS DEAD. Don’t mess with me, folks. My Comic Book Voodoo is strong.